Once you start the database creation process you will see the restore process beginning immediately. Once restore is done you will be having your new Database up and running. This is indeed a cool feature. I bet your DBA will love to see this , he can now start looking into other useful stuffs. Data is often considered less secured when in movement. It could be across two servers , two data center , between two services, between cloud and on-premise or between two cloud providers. Wherever data is moving , data protection methods should be implemented for in transit data that are critical. While organization care more about data at rest , protecting sensitive data in-transit should also be given high importance as attackers find new methods to steal data. Encryption is the best way to protect data in-transit. This is done by encrypting the data before sending it , authenticating the end points and decryption once the data is received. 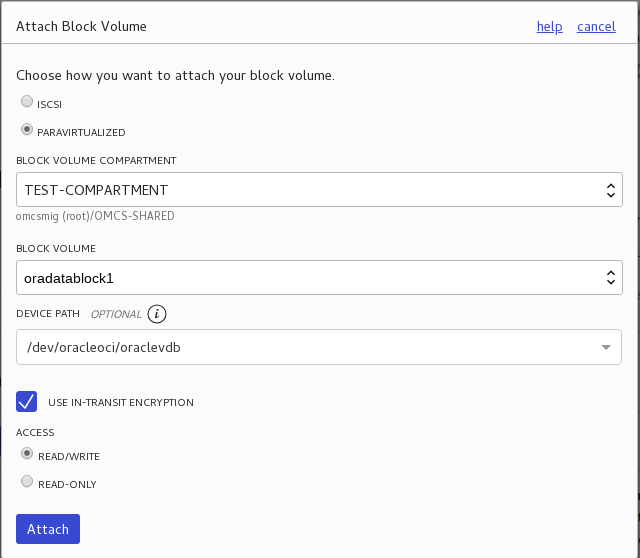 OCI block volume service encrypts all block volumes at rest and their backups as well using AES Advanced Encryption Standard algorithms with 256-bit encryption. Data moving between the instance and the block volume is transferred over an internal and highly secure network. This transfer could be encrypted with this feature announcement for paravirtualized volume attachments on virtual machines. 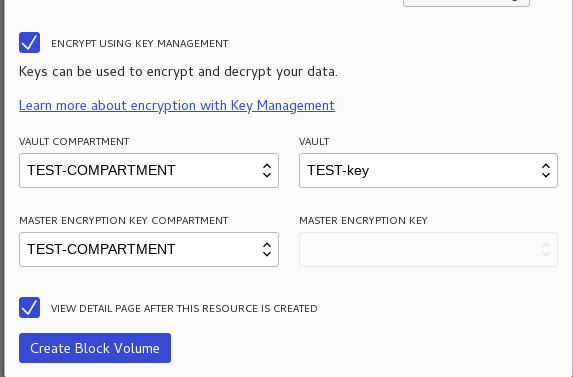 Optionally you can use the encryption keys managed by the key management service for volume encryption. if there is no service used oracle provided encryption key is used and this is for both data at rest and in-transit. Here above when you specify the key for the block while creating then the same will be used for in-transit as well. With this feature you can now select a device path that will remain consistent between instance reboots. though this is an optional feature it is recommended to use the device path as you can refer to the volumes when create partitions , creating file systems , mounting file system , you can also specify this option in /etc/fstab file for automatically mounting volumes on the instance boot. 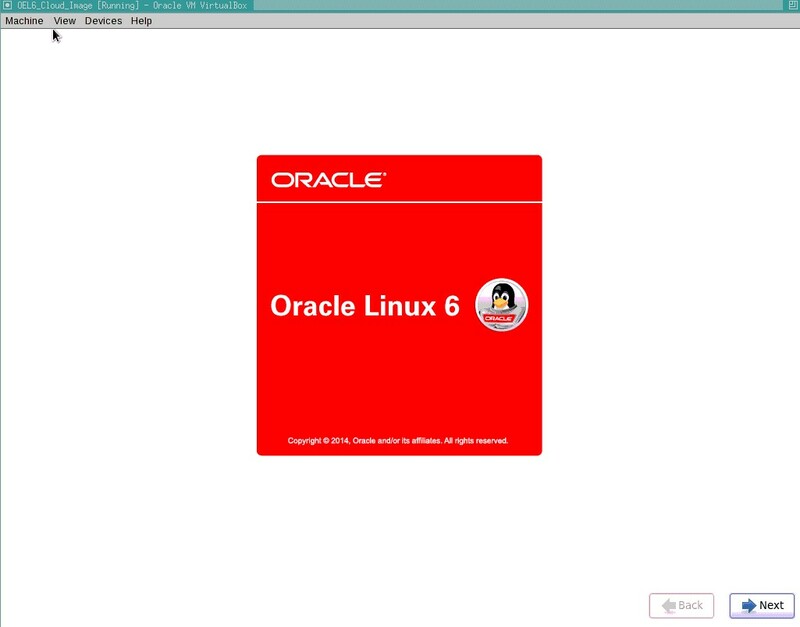 Operating System Linux Images that are released by Oracle prior to November 2018 would not be able to use this feature. Windows based , Custom images and Partner images are not supported. 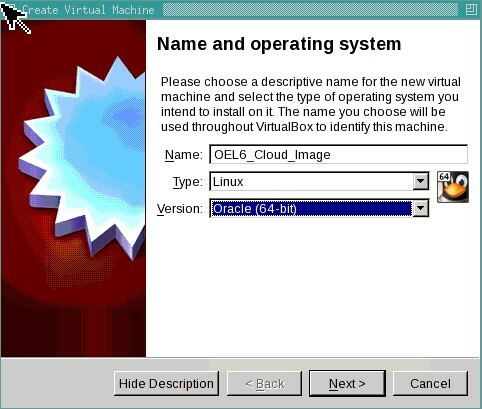 To verify if consistent device path support is available on your instance , login into your environment and do a "ll /dev/oracleoci/oraclevd*" , if you see a list of devices then it is supported else if you get a message "no such file or directory" then it is not supported. After attaching the device then from the operating system you can create a partition using the device path. In a virtual environment, CPU cycles are shared across virtual machines on the server. If your virtual machine displays a high %st in top (steal time), this means CPU cycles are being taken away from your virtual machine to serve other purposes. You may be using more than your share of CPU resources or the physical server may be over-sold. 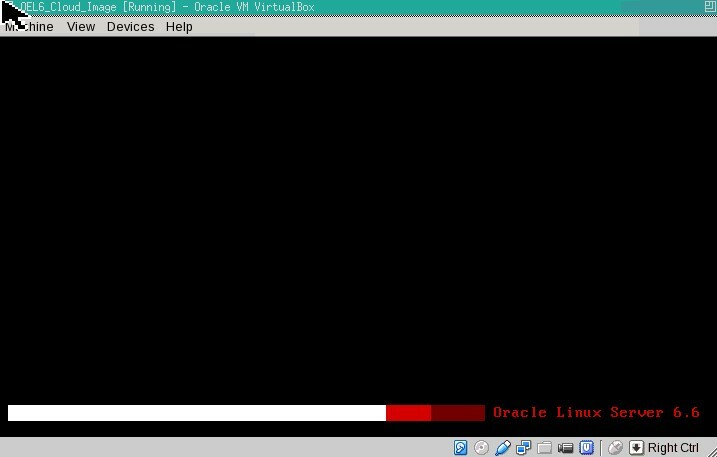 Move the virtual machine to another physical server. If steal time remains high, try giving the virtual machine more CPU resources. In this case this database was not having any noisy neighbor and it was the same machine fighting against itself. The reason was over-provisioning. The underlying hardware had 48 CPU but virtual machine was over provisioned for 64 CPU. To resolve the issue , virtual machine was migrated from 48 CPU bare metal to 82 CPU bare metal. it is highly recommended to have a metric collection on the monitoring tool to have Steal monitored on high workload virtual machines. This will help take action and move environment to have better performance. ADOPValidations_detailed.log reported a warning message for one of the critical error "Cross Reference"
here on the patch file system there is a cross reference which can be very costly mistake if you ignore it. so consider having all validations reviewed. Golden Gate moving from Classic to Integrated was an option taken in one of our project to have better performance. A lot of effort was put to convert all the extract and replicate to Integrated mode and some optimization parameters were used but still there were not a significant performance improvement. Then I took a different route to examine the AWR and ASH for the replicate processes. Wow our friend INDEXES. Since we were dealing with build load , some of the unwanted indexes were dropped and Golgen Gate was super fast. Both Integrated and Classic was having better performance. Post the build load we rebuild the indexes. Better consult a Dr.DBA always. Though I am a beginner in this instrument, still I would like to recommend others to go with this keyboard. Yamaha's PSR-E463 makes a perfect first keyboard for students, a solid educational tool for classrooms, and a fun, lightweight travel instrument and composition tool for professionals. Each of the E463's 61 full-sized, organ-style keys provides good resistance with a quick response that's suited for playing dynamic string pads to quick brass lines and synth leads. And speaking of instruments: the E463 comes loaded with 758 rich stereo voices, which means students and recording artists will never be short on inspiration. And for purists, a one-touch Live Grand Piano function bypasses all advanced features to provide a lush, distraction-free grand piano sound with 48-note polyphony. Its intelligent backing tracks, a USB port for thumb drives and MIDI connectivity, and the included 9-lesson Yamaha Education Suite round out the PSR-E463's value-packed features. When applying PSU or OJVM do instructions as documented in the readme in the specificed sequence. Run post patch instructions as specified in the readme. E Business Suite will stop authenticating users if post ojvm instructions are missed. Aggregation of articles from Oracle engineers, Developer Champions, partners, and developer community on all things Oracle Cloud and its technologies. Wish every one a Happy New Year. 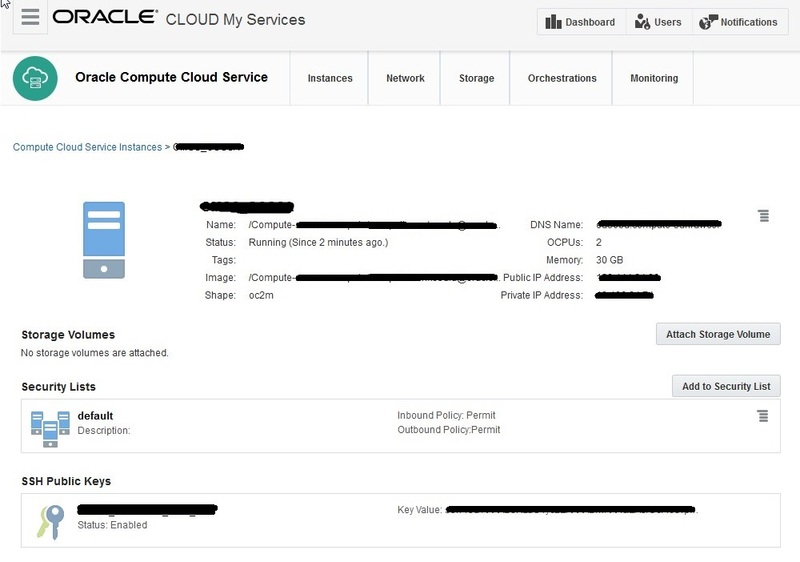 Before you read : Please note the documentation and procedures for Lifting and Shifting On-Premise to Oracle Cloud is constantly evolving. Instruction here are high level and recommend to review the latest documentation. 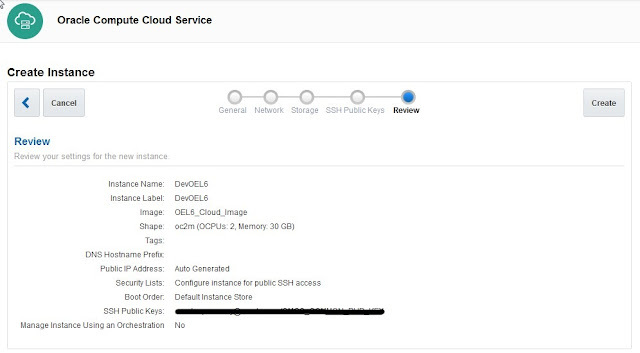 This procedure could be the quickest way of getting an e-business suite 12.2.5 instance in IaaS public cloud. To the compute account pull either a EBS 12.2.5 Demo Install Vision Image or a Fresh Install Image using Get App method. Click the Get App and this action would copy the Image to the Compute Storage. Now with the Image available in the Compute Storage we will be good to start with a new provisioning. Review the storage , at this point if you wish to add more space you can do it or it can be done later once the instance is provisioned. From there the backend operation will take care and the instance will get provisioned. 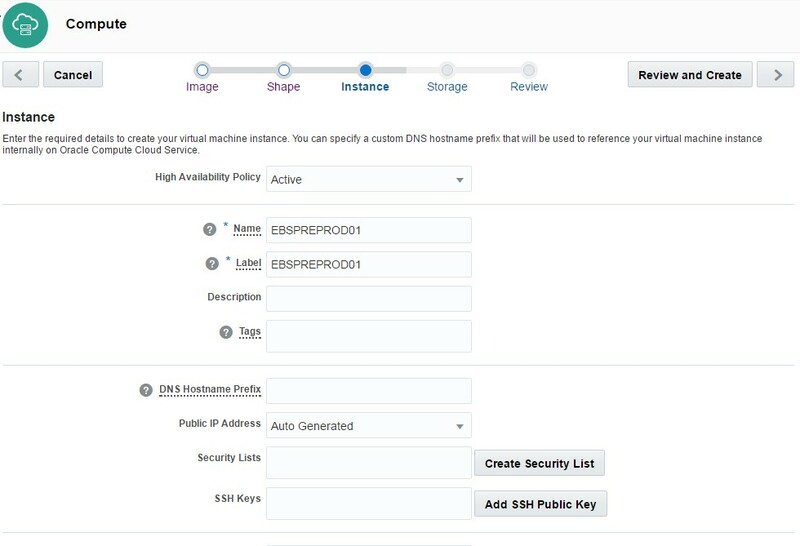 Once the instance is provisioned view the instance from the compute page and log into the instance with the assigned IP and Key. Validate the environment. With this process a base 12.2.5 environment is available to you. From here you can customize to your need. Hope this helps ! Thanks for reading. 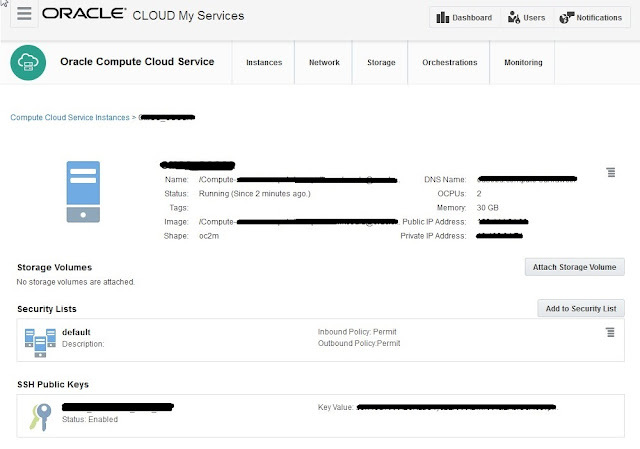 On-Premise Environment 12.1.3 or 12.2 can be moved to cloud , please review the "What Do You Need ?" section to understand the detailed requirement. Identify the EBS environment for lift and shift. Make sure that it meets the requirement for migration. 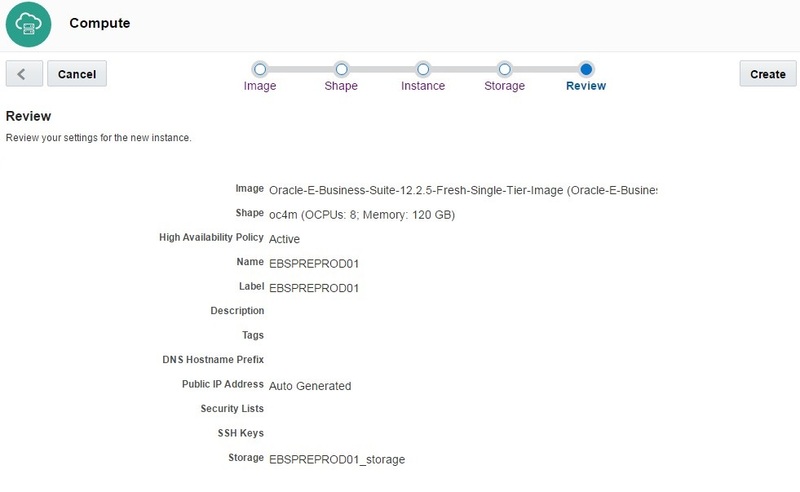 Update the cln.props which is available inside the patch , ensure that properties MODE and BACKUP_TYPE are commented out as they are used for EBS with DBaaS provisioning. Run post configuration steps as necessary. What happens in the backend ? Oracle Public Cloud gives multiple options to create a base image. There are options available from the market place which I will cover later. 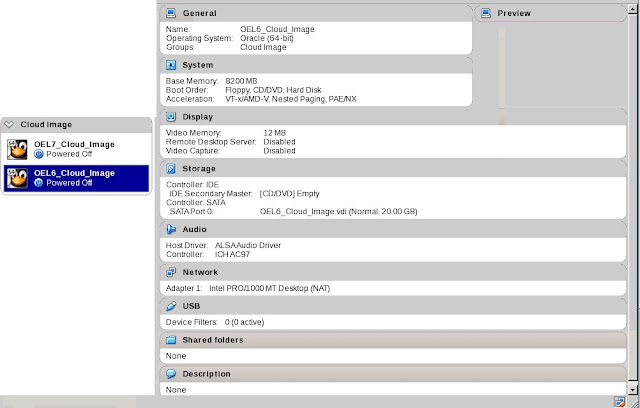 Here I will cover building your own machine image on IaaS with your own EBS Installation. If you are a customer running 12.1.3 this should interest you. This procedure can be used to build multiple development single node EBS images of your choice. Build a local Oracle Linux image supported on Cloud , follow doc here and stop after rebooting the linux image. 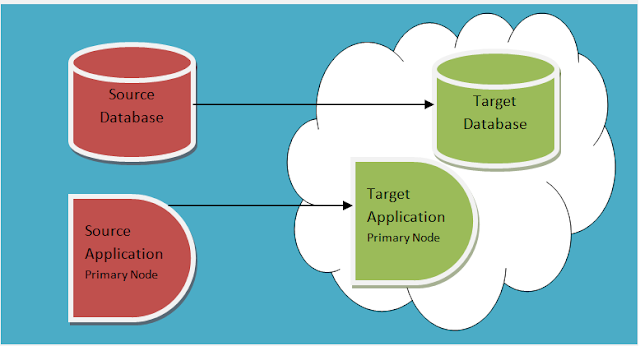 Configure the Target system following Cloning documentation. With the uploaded image , you can spin-off as many as EBS instances needed. Though this procedure has a lot of work on customer end , I would recommend to try out Market Place Images. To enable Oracle EBS on cloud and to install a fresh EBS Instance of your own choice then you will have to create a image. 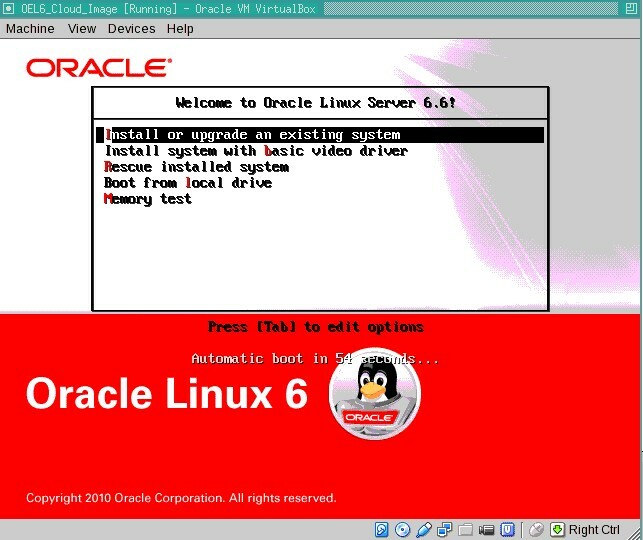 This image can be build using Oracle Linux (x86, 64-bit) releases 6.4 and 6.6 with kernel 2.6.36 or later. 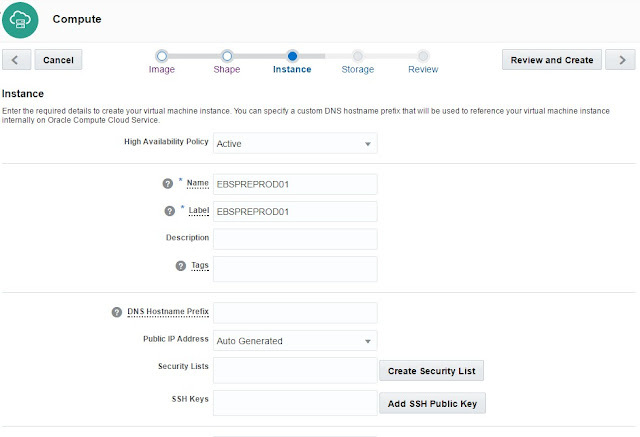 Access the Instance using the Public IP and the Key. 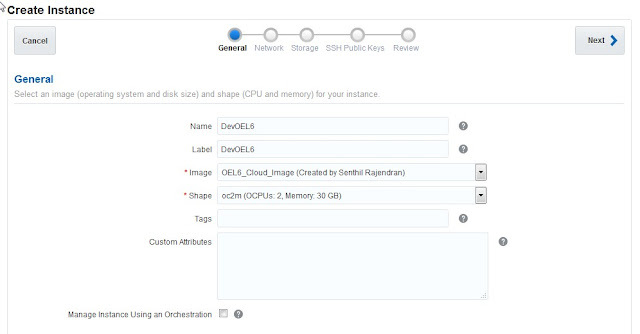 With the above procedure you can create your own image and upload it to IaaS. In addition to the above linux setup , you can install any packages or application on to it and upload it. I will cover that as a separate post. Oracle Cloud Infrastructure as a Service (IaaS) is now powered to run Oracle E-Business Suite. Does that interest you ? I am exited to be part of the apps unlimited team and let me share what I have explored. Apps Unlimited offers two ways of running EBS , start fresh or migrate. Depending on customer choice and business requirement either of the options can be chosen. 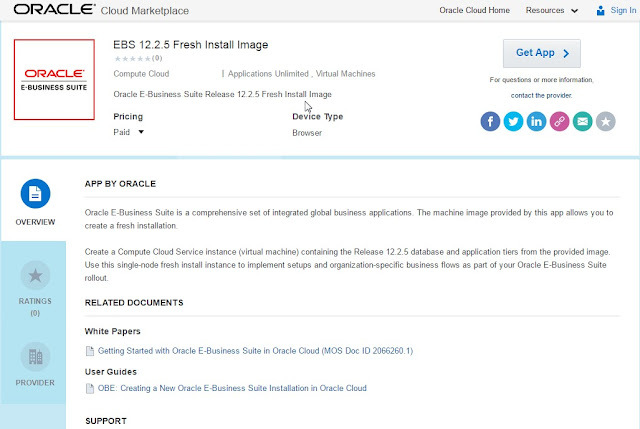 Some of benefits of running EBS on Cloud are quick and easy automated way to provision EBS images on the cloud, lift and shift EBS instances on premise to cloud , easily develop and deploy customization , manage them in EM 13c using hybrid management options. Cloud Marketplace has the various images to explore. These images are the latest updated images running EBS 12.2.5 with AD and TXK 12.2.7 with database Oracle 12c running on Oracle Linux 6 update 7 (x86-64). Will be sharing more about EBS on Cloud in this space. Please watch out for more update. Happy Clouding. With 12.2.7 AD & TXK Delta 7 - EBS Customers on 12.2 should be seeing improvements and stability. It is time now to review them. Watch this blog for the detailed review. 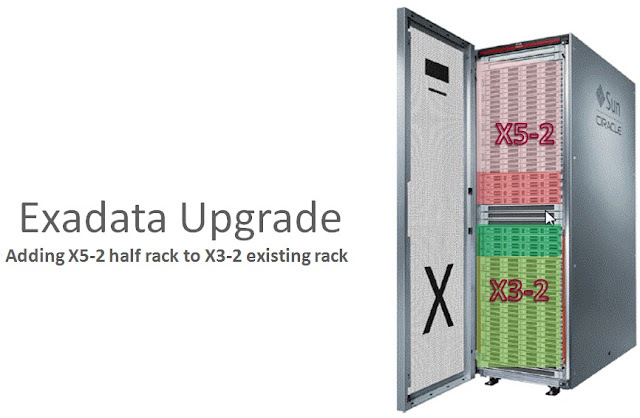 Recently did an Exadata Expansion project on x3 half rack and making it a full rack by adding x5. this setup is a full exadata rack with two different flavours of engineered system hardware four x3 compute nodes and four x5-2 compute nodes along with seven x3 cellnodes with seven x5 cell nodes. This topology is supported but there were a lot of work behind. First getting the x3 on the supported release 12c , this involved 4 node grid upgrade from 11g to 12c and x3 compute/cell node image to 12c from 11g. Now the storage - x3 had 3TB disk and x5 has 4TB disk , so grid disk has to be the same size. 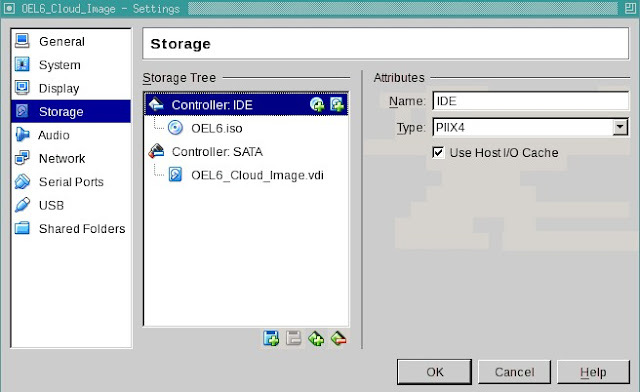 following doc "How to Add Exadata Storage Servers Using 3TB/4TB Disks to an Existing Database Machine (Doc ID 1476336.1)" will help. This whole exercises was so cool and went as documented.